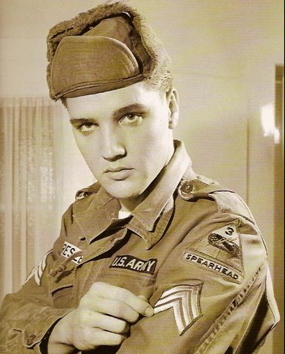 When Elvis Presley served in the army for two years from 1958-1960, hundreds of his fellow soldiers must have come into close contact with him, if only briefly, during training or in the daily grind of military duty. 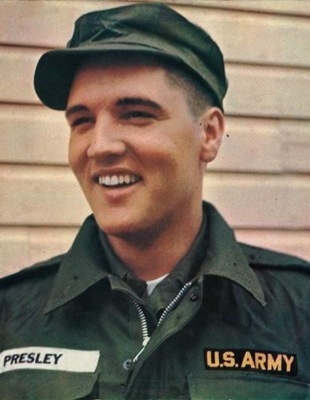 I’ve always wondered over the years why so few of them have taken the time to write down their impressions and share anecdotes involving Elvis in the army. Rex Mansfield, who was at Presley’s side for most of those two years, provided plenty of information in his book “Elvis the Soldier” (later retitled “Sergeant Presley”), but missing are the viewpoints of most ordinary soldiers who briefly passed through Elvis’s army world. 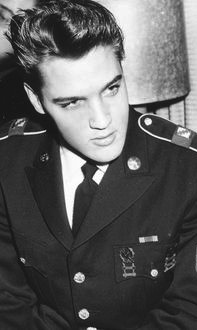 Fred Beauford is one of the few soldiers who took the time to record his encounters with Elvis Presley while serving in the army. Even so, it took him over 30 years to realize the appeal those memories would have for Elvis fans. “It just never seemed important,” Fred explained, “and who the hell cared, anyway.” He would discover that thousands of people cared. That day Fred suddenly learned the shock value of the word “Elvis.” It was the same eye-opener I got years ago when I showed my high school Mass Media class a Presley photo I had taken. The students, who were still in diapers when Elvis died, were suddenly awestruck that I had been that close to Elvis Presley. So why the fascination among young people? Fred explains, “Elvis, Marilyn Monroe, James Dean, and now Michael Jackson have an interest that is now cemented deeply into the American mind.” In his memoir, “ … and Mistakes Along the Way,” Beauford explained how he capitalized on his brief relationship with Elvis in later classes. In the years since his Elvis epiphany in the classroom, Fred Beauford has authored over a half dozen books. He expects his memoir to be published soon. In Chapter Seven of that volume, he shares details of his encounters with Elvis when both were soldiers during the Cold War. So that you can read Fred’s account of his experiences with Elvis, I’ve provided a link at the bottom of this page. 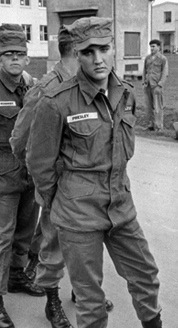 As you read it, though, keep in mind the context of the times in which Fred and Elvis served in the army. In 1958 the Civil Rights Movement was transfixing the nation. Fred Beauford was an 18-year-old black recruit from the Bronx, while Elvis Presley was a 23-year-old white draftee from Memphis. Although President Harry Truman had desegregated the military a decade earlier, racial issues still existed in the army. 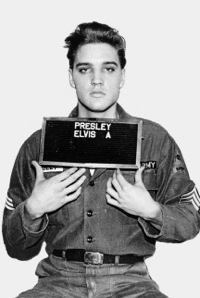 Described in his memoir, Fred’s initial meeting with Elvis in the barracks at Ft. Hood is a snap shot of racial interaction in the military at that time. A link to Fred Beauford’s informative and very entertaining memoir chapter, entitled simply “Elvis,” follows. "Fred Beauford is one of the few soldiers who took the time to record his encounters with Elvis Presley while serving in the army. Even so, it took him over 30 years to realize the appeal those memories would have for Elvis fans."